A life on the prairie is not all it's cracked up to be in this middle-grade novel where one girl’s mom takes her love of the Little House series just a bit too far. Let me just start with the obvious: You know you wanted to read this book the moment you saw the title. It's okay, I was in the same boat. 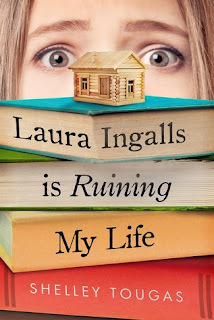 I mean, it did help that I'm a bit of a Laura fan, although the argument can be made that the title is even more appealing to those who can't stand the Little House world. So, I went into this not knowing anything about it other than the title and having no expectations. What I found was a delightful book with a strong and dynamic main character. Charlotte is just fabulous--and really annoying, at least when the book begins. She has a truly terrible attitude, but that is completely understandable given her circumstance. For one thing, she's twelve years old and twelve year olds are generally difficult (as any parent, or anyone who had even been twelve can tell you). More importantly, though, she's a child who has never really had any stability in her life. Her mother, while not a "bad person," is selfish and her children have to pay the consequences for that. When Charlotte starts off by bemoaning her fate of having to be stuck in a little town in the middle of nowhere (sorry to Walnut Grove residents--but I've been there. It's true). Surrounding Charlotte is a well-developed cast of supporting characters. Charlotte's two siblings, Freddy and Rose (the names are a throwback to Laura Ingalls' own life), both have their own challenges, which are addressed well without eclipsing Charlotte's stories. The people of Walnut Grove are interesting and, surprisingly, not typically small-town-quirky. The heart of this book is Charlotte growing as a person, admitting her faults, and adjusting her attitude. As a parent, this is exactly the sort of book I want my daughter to read--so much so, that I went out and bought her a copy once I finished my library book. I think, and I'll check with my daughter once she reads this, that it is the sort of book that speaks the language of a middle grade reader and that young readers will absorb the message of this book in a way that doesn't make them feel they are being preached at. The one question I would think someone who is considering this book might have is how necessary it is to know about Laura Ingalls Wilder going into this. Personally, I think just the basic level of knowledge is fine. 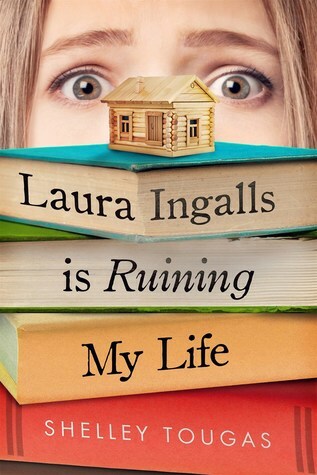 However, as someone who has read all her books, I will admit that I think my enjoyment of this novel was heightened by having read all the Little House books, especially On the Banks of Plum Creek (which is the one that takes place in Walnut Grove) and The Long Winter (because...winter). Still, if you haven't read any of Laura Ingalls Wilder's books, do not think that you wouldn't be able to "get" this one. This was such a delightful book that I not only bought a copy for my daughter but also one for one of her friends. If you are looking something, either for a young reader or for yourself, I would highly recommend this book.